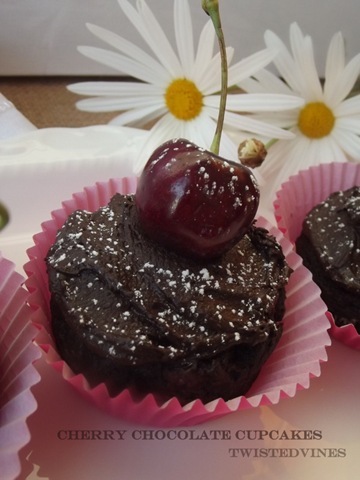 These Cherry Chocolate Cupcakes are the start of something big! I’m experimenting more and more limiting grains from my diet and researching more into using different flours. Hence the use of coconut and almond flours in this recipe. Searching and researching the alternatives to grains I found many changing lifestyle alternatives… Mark Sisson’s: Mark’sDailyApple –Primal Living in the Modern World; Danielle Walker’s: Against All Grain; Jenny McGruther’s – Nourished Kitchen. I’m not very experienced cooking with other flours, so I just had to try something…after travelling a few kilometers to the nearest organic retail shop, I found coconut flour, coconut oil,coconut sugar, almond butter and a new world was introduced to me. After reading and trying the ‘normal’ every day meals, I needed to try a little dessert. Danielle at ‘Against All Grain’ (see her original recipe here) used cocoa butter,(note to self) have to buy and find this product. From my own experience of using almond meal for Macaroons, sifting twice or even three times aerating the flour leads to better results. Isn’t there something about daisies that make you smile and think of sunshine…hopefully it arrives soon! 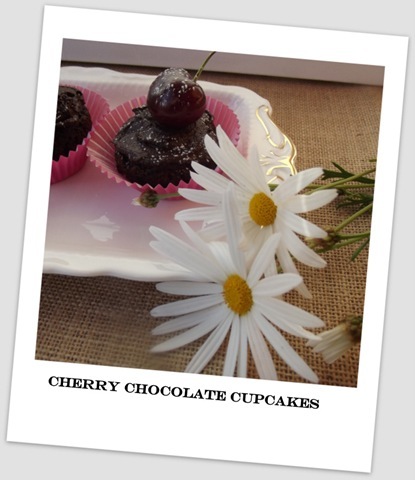 Love, Love, Love…cherries, not only are they part of the mixture in this cupcake, delicate sweet little bits surrounded by chocolate, I love them as an extra eye catching decoration. 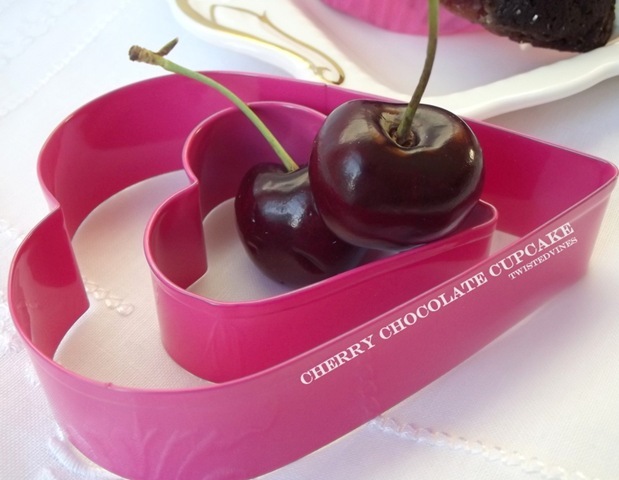 Prepare a 12 cup cupcake tin with cupcake liners and preheat oven to 220°C. Prepare firstly all the dry ingredients, combine these in a small bowl, make sure you sift both flours, even twice if you have the time. 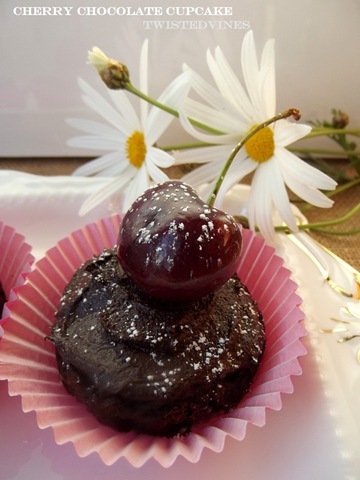 Combine coconut flour, almond meal flour, cacao powder, baking soda, salt and shredded coconut. With a hand beater, cream the melted coconut oil (if you zap the coconut oil for 30 seconds in a microwave wait a couple of minutes till it’s just room temperature before adding the eggs) ( otherwise you’ll scrambled them) add eggs blend at high speed, add the honey, vanilla and almond milk. Gradually fold in by hand the dry ingredients. 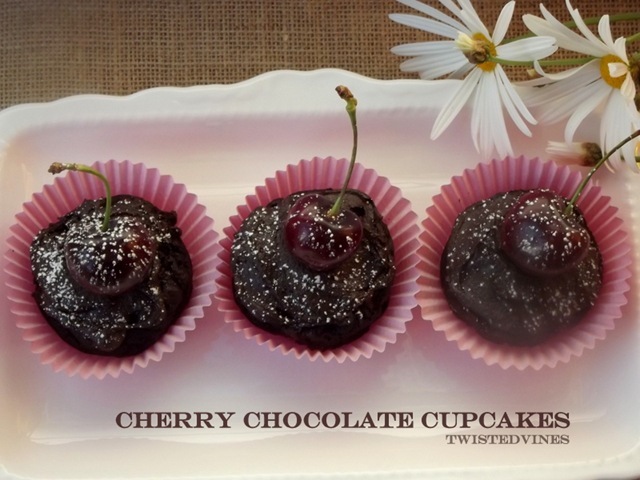 Add the chocolate chips and fresh cherries. Spoon mixture into prepared cupcake liners and bake for 20-25 minutes. Cool, and ice with chocolate icing. 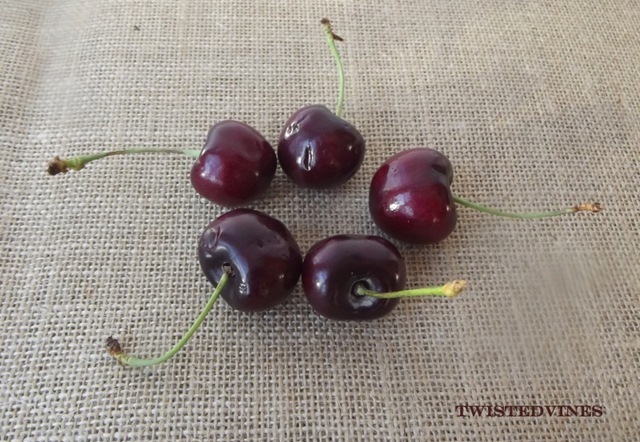 Garnish with fresh cherries. 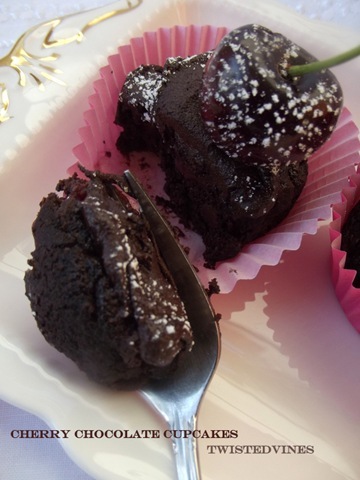 1 cup icing sugar, 1 tablespoon cacao powder, 2 tablespoons water. Mix all ingredients together until smooth. See also my cherry velvet cupcake. Here’s to new adventures in my kitchen…Enjoy! WOW! Do these look FABULOUS or WHAT!! And they sound so healthy, healthy, healthy!!! I’m loving the idea of eliminating some grains and looks like you have a great start. I’ve got to remember this and come back for some more great recipes. Even though I eat my share of grains, the pretty cupcakes sound like they were great. I know that you are working on feeling better and I’m wishing you all the success in the world. One of the most important things is to make foods that taste great and this sounds like a perfect recipe.